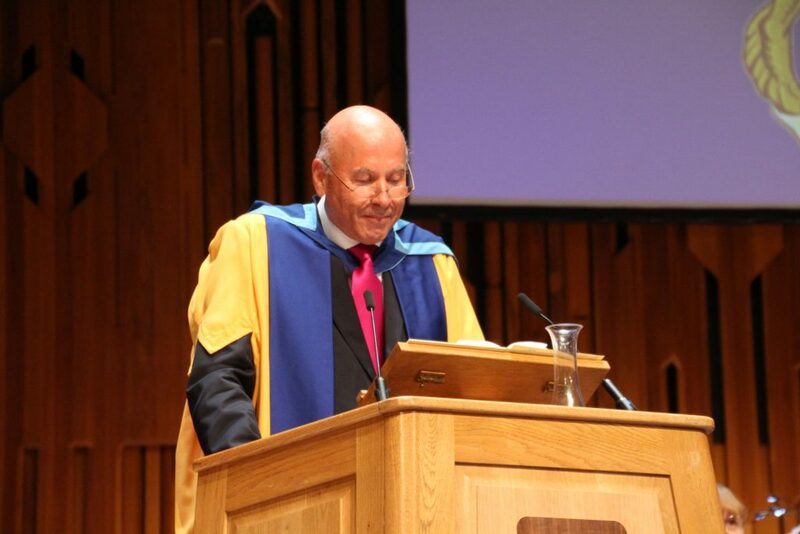 “His rigorous research and compassionate practice [have] transformed the lives of people across the world.” These words were pronounced when the founder of the Acem School of Meditation Professor Are Holen (pictured at the ceremony above) was appointed honorary doctor of The Open University (OU) outside London on 22 September 2018. OU is one of Europe’s largest universities, with over 170,000 students and extensive research activities. The university was established by British authorities in 1969 to strengthen the modernization of Britain and contribute to increased equality in education. Executive Dean Professor Ian Fribbance, Professor Are Holen, and Senior Lecturer in Psychology David W. Jones. Are Holen, MD Phd, is Professor Emeritus at the Faculty of Medicine and Health Sciences at the Norwegian University of Science and Technology (NTNU) in Trondheim. A physician who also holds a degree in psychology, he specializes in psychiatry and psychotherapy. He founded the Acem School of Meditation in 1966. For several years, he was head of the international organization, in which he still serves as chief lecturer and training supervisor. In 2014, His Majesty the King of Norway appointed Professor Holen an Officer of the Royal Norwegian Order of St. Olav for his services to society and humanity, including his work in Acem. Hi! I am glad that I am here.